As a leading South Florida bankruptcy law firm, we meet with countless clients to discuss whether they should file for bankruptcy. Unlike other firms, we don’t do a “hard sell” and try to talk everyone we meet into filing. Instead, we talk intelligently with them about their goals and situation to better figure out if bankruptcy truly is their best option. One of the issues we discuss with potential clients is the issue of inheritances. You might be in line to inherit some significant assets from an elderly relative, such as a parent, aunt, or uncle. If so, then your inheritance could be at risk if you choose to go ahead and file. The bankruptcy code does not let you pick and choose what assets to disclose. Instead, you must disclose everything you own, including any assets you have recently inherited. There is a reason for this. If you file a Chapter 7 bankruptcy, for example, you can wipe out most unsecured debts. But this benefit comes with a big drawback—the bankruptcy trustee can use non-exempt property to pay off your creditors. This is the exchange at the heart of bankruptcy—you give up something (property) in exchange for getting relief from something else (debt). Florida law allows you to exempt some property, but you will need to carefully analyze whether your inheritance is exempted. Chances are it is not. This means you could lose everything you recently came into after the death of a loved one. 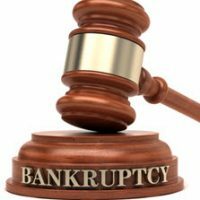 According to the bankruptcy code, any inheritance received within 180 days of filing for bankruptcy is part of the bankruptcy estate. This rule is a little shocking. Even if your case has closed, you might still need to refile your paperwork if you come into the inheritance within six months of your filing date. The purpose of this rule was to prevent people who were expecting an inheritance from quickly filing for bankruptcy to protect it. However, even completely innocent people can get ensnared by the rule. Imagine this: You file for Chapter 7 bankruptcy on January 1, 2018. On May 12, 2018, your mother dies and you are entitled to inherit $100,000. In this situation, even if your case is closed, you could lose your inheritance because you became entitled to it within 6 months of filing for bankruptcy. When meeting with a lawyer for a consultation, you should discuss any inheritances and the likelihood that you will come into the inheritance in the immediate future. Is a loved one gravely ill? How much do you stand to inherit? What are the assets you will inherit? In some cases, it might make more sense to not file but instead work on debt management in another way. In other cases, you might benefit by rushing to file. At Nowack & Olson, our Florida bankruptcy attorneys have helped countless consumers navigate the complex bankruptcy code. Reach out to us today. We offer a free initial consultation, which you can sign up for by calling 888-813-4737.